thanks to everyone who has provided arƟcles,   Dorothy. and were inserted into                         our best wishes for a speedy recovery. 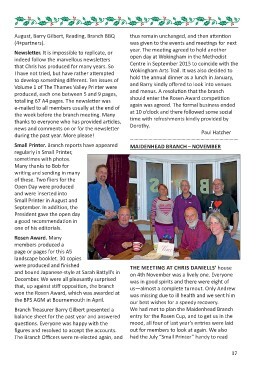 the BPS AGM at Bournemouth in April. ﬁgures and resolved to accept the accounts.